“It was made to be used as a tool for mobilizers over a long period of time. Hopefully, for years to come.” In the two years since the film’s release, it seems to be just starting this journey. After researching their audience, OFM quickly realized that because Africans come from a rich oral storytelling background, long-form drama was likely the most effective way to teach and touch the hearts of Africans. However, for the five years of their team’s existence, OFM had focused on producing short documentaries—nothing over twenty minutes long and nothing with a full cast of scripted characters. Producing a full length film would be a daunting undertaking. To further enhance their relevance to an African audience, On Field Media partnered with a local production company called Good News Productions International (GNPI). “They became our closest brothers in this labor,” Andy expresses. 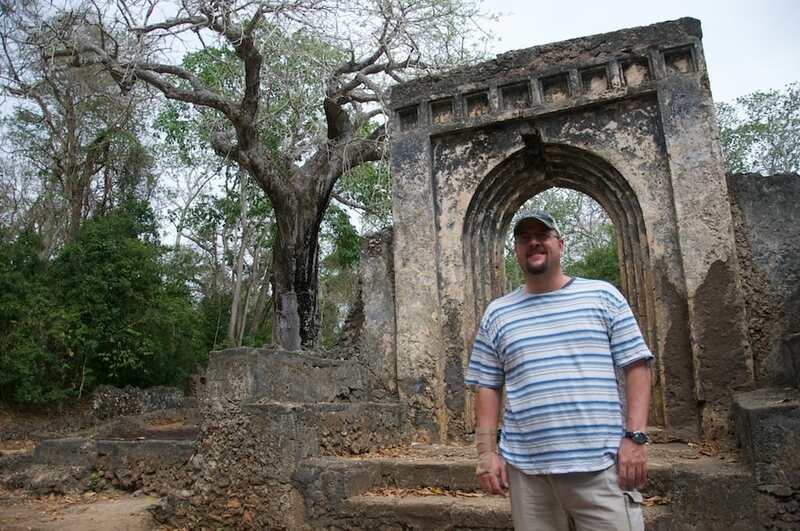 In the early stages, GNPI helped with location scouting and the complicated logistics and permissions for filming in Kenya. Once the project entered the post-production stage, GNPI contributed their expertise in sound design and translation work. 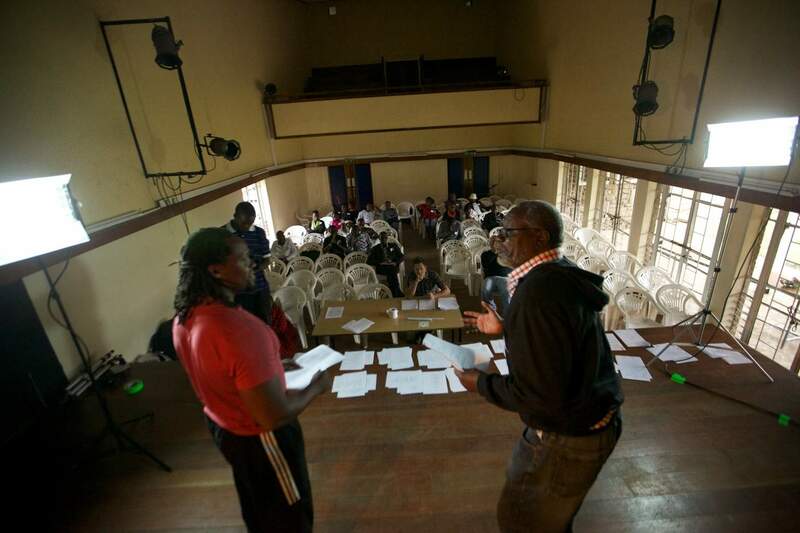 In May 2012, at the National Theatre in downtown Nairobi, OFM organized a casting call, and hundreds of aspiring actors showed up for the auditions. The highlight of that day was when, just outside the theater, an OFM teammate led a man to Christ. Even before the cameras started to roll, The Distant Boat was reaping a harvest. Post-production began in January 2013, and spanned nine months. Editing, music scoring, color grading, sound design, test screening, more editing. During this time, OFM worked closely with another partner organization called Finish the Task (FTT), a Kenyan group of mission sending-agencies and churches. FTT played a major role in the pre-release church preparation, the film’s distribution, and the follow-up programs like The Distant Boat small group study guide. In November of 2013, two years after the inception of the film, The Distant Boat screened in a local Nairobi theater and at a large church conference that hosted about three hundred pastors and church leaders from across the country. Every church returned home with a copy of the movie and a renewed vigor to raise up missionaries within their own congregations. “It felt like the beginning of something big,” Ted says, “like things were changing.” And as Kenyans say, “slowly, slowly,” the movement started to take shape. Shortly after the film’s release, it appeared in a handful of international film festivals, including a prestigious one in Zanzibar. Islam is the sole religion of Zanzibar, but because The Distant Boat had high production quality and treated the Muslim characters with respect, the island was willing to screen a story that encourages people to reach out to their Muslim neighbors. That in itself was a miracle. Pastor Isaac has also helped add The Distant Boat to the curriculum of a pastoral training program that teaches nearly 800 aspiring church leaders from all over eastern and central Africa. “Where possible, this film is shown to each class of students before graduation,” he says. OFM has released a film version overdubbed in Kiswahili and is working on another version in French. 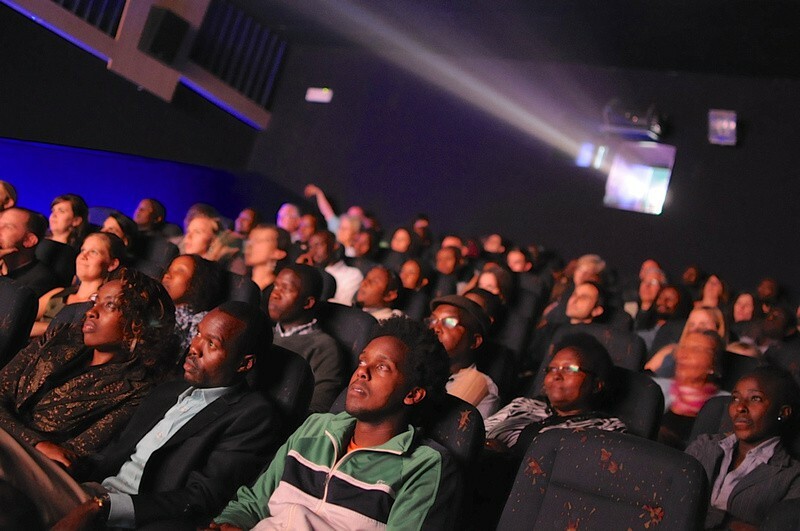 Those two versions alone will make the film accessible to 250 million more people in 26 different African countries. Isaac Masiga, who has been an instrumental GNPI partner in the overdubbed translations, says, “It is our prayer that this movie will continue to impact the African Church and challenge them to become a major force in the future by sending people to the mission field; for the harvest is plenty and the laborers are few.” But because of the universal truths in the film, other organizations and individuals have taken it upon themselves to create subtitles in languages like Portuguese, German, Dutch, and Korean. The Distant Boat truly has a life of its own. After the release The Distant Boat, it became impossible to follow the spread of the film or measure its impact, especially since it has reached farther than anyone on the production team ever imagined. Dan Germo, who worked with OFM’s partner ministry, Finish the Task, says, “It was made to be used as a tool for mobilizers over a long period of time. Hopefully, for years to come.” In the two years since the film’s release, it seems to be just starting this journey. The Distant Boat continues to touch the hearts of the African Church and inspire congregations and individuals to become involved in Great Commission work. On Field Media will probably never know the full impact of the film, but for all who were involved in its creation, it is a great encouragement to know that project remains firmly in God’s hands. As Ted emphasized, “We were just being obedient.” What a shockwave a little obedience and a lot of prayer can do!